Product prices and availability are accurate as of 2019-04-10 06:02:53 EDT and are subject to change. Any price and availability information displayed on http://www.amazon.com/ at the time of purchase will apply to the purchase of this product. 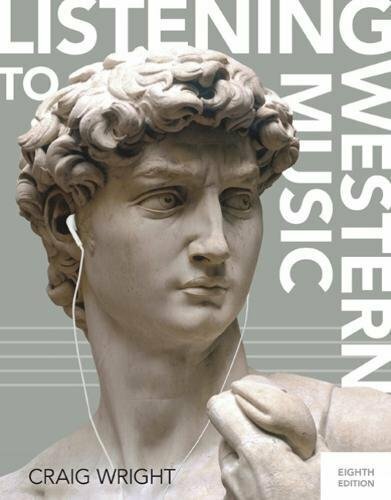 LISTENING TO WESTERN MUSIC equips you with the tools to actively listen to and inspire a lifelong appreciation for music. 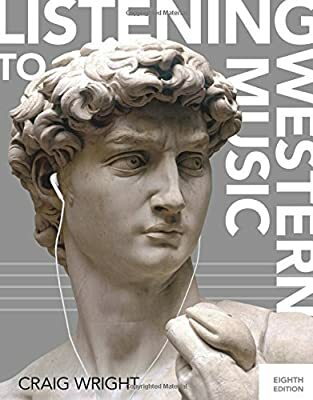 Known for his clear, conversational style, Professor Wright helps you immediately find connections to music by comparing pop and classical music concepts. His text is organized chronologically and discusses musical examples from each era in its social context -- describing the construction and culture of each piece. LISTENING TO WESTERN MUSIC is fully integrated with MindTap to better help you develop your listening skills and maximize your course success. Online resources include interactive exercises, streaming music, Active Listening Guides, chapter and critical thinking quizzes, iAudio lectures, YouTube videos, Beat the Clock games, and more. You also can download all music directly to a music library.